With the start of the winter season, comes the demand for ice auger blade sharpening. Opening your services to the ice fishing industry is a great opportunity to grow your customer base. There are not many ice auger sharpening machines available, which makes your service more valuable. We recently improved the design of our AV-41 Ice Auger Sharpening Machine. A second tool fixture was added to better accommodate Strikemaster Lazer blades, some of the most common blades in the industry. In addition, the standard ice auger fixture sharpens the Mora, Jiffy, Eskimo and Ion blades. 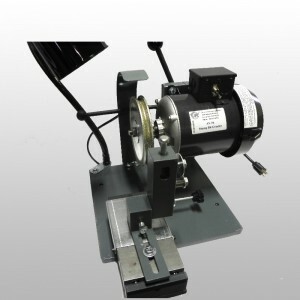 Thorvie offers the AV-41 ice auger blade sharpening machine for people looking to get into the sharpening industry. 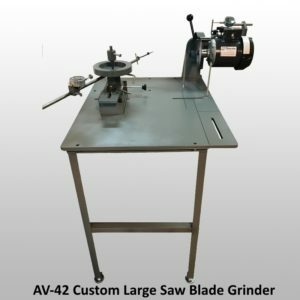 For established sharpeners, the lazer blade fixture and standard ice auger fixture are compatible with the AV-40 saw blade sharpening machine. 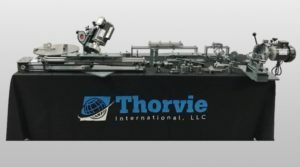 A detailed training video and instruction booklet are included with the purchase of any Thorvie sharpening system. Should you need further assistance, Thorvie’s customer service is available 7 days a week. With the close of yet another year, we gratefully pause to wish you all a warm and happy Holiday Season. Thank you for helping us make 2018 a successful year and we look forward to servicing you in 2019. Saw blades vary a lot in price whether they are a low end contractor blade or a high end finish/cabinet blade. Over the past 4 months many calls have come in regarding sharpening high end carbide tipped saw blades. The sharpening service’s customer has asked if they are able to sharpen an expensive saw blade to factory setting. The answer is yes. You can sharpen any carbide tipped saw blade on a manual grinder to as good or better than a new blade. Some of the high end blades (like Forrest) will be stamped that the blade needs to be CNC sharpened from the factory. This is a marketing strategy to re-sharpen their blades in-house. When I was sharpening there were a couple customers that refused to give me their Forrest blade due to this reason. Finally, after they saw the sharpening quality from the other blades I did, they gave me the blade. They used it and said it cut better with my sharpening than it did from the factory CNC sharpened blade. 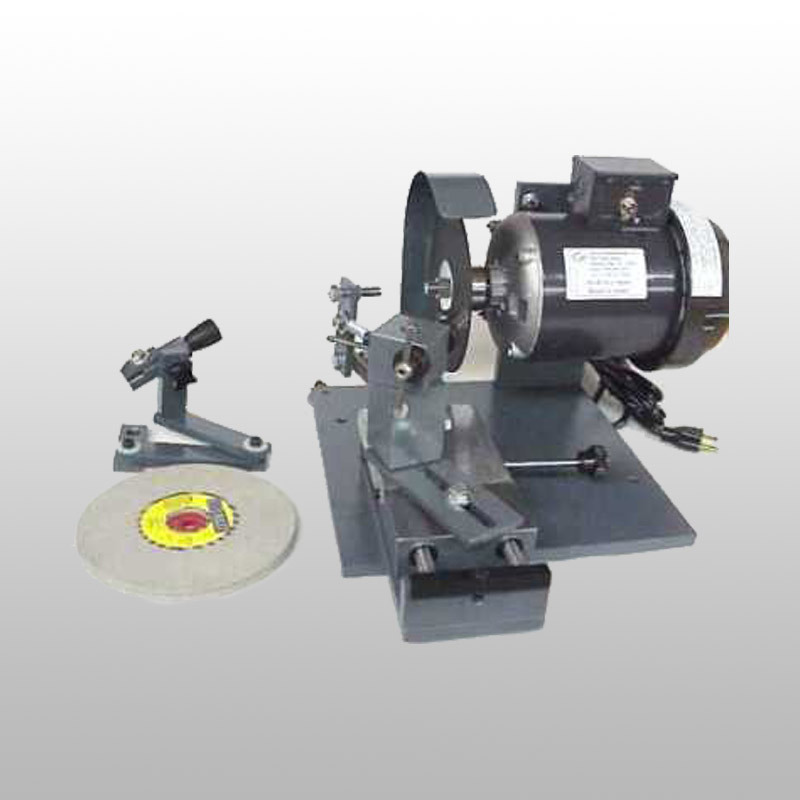 To get these sharpening results, your sharpening machine must be able to face and top grind the saw blade. Previous PostSearching For An Accurate Ice Auger Sharpening Grinder? I sharpen Forrest ( as well as all others) blades, as well as almost anything else with a bevel, all of the time! YES, in the case of carbide tipped saw blades, folks are hesitant at first due to the Forrest “mandates” and claims. My Customers are very happy with my sharpening ( check my Google reviews). I use my Thorvie equipment (purchased in 2005) just like Al and you have instructed me. Attention to detail, using the equipment as instructed and servicing your Customer-base are key and will allow you to reap the rewards mentioned by Thorvie International.